If you’re looking to buy Mitsubishi vehicles online, be sure to check out the history of this interesting and culture changing auto maker. Since its launch in 1970, Mitsubishi Motors Corp. has focused on off-road racing. It was formed as a wholly owned subsidiary of the gigantic Mitsubishi conglomerate. Mitsubishi Motors has racked up 30+ wins and a couple of clean sweeps of individual races in the World Rally Championship. Add also 11 wins in the Dakar Rally since 1993. The Fast and Furious series have put a spotlight on the modern racing culture that has been built around lightweight, sporty cars. These cars can be extensively modified for performance. The Lancer Evolution or “Evo” and the Eclipse, are the epitome of this world. However, back in he 1970’s, the only Mitsubishi cars available in the US market had the badges of American automakers that the company had formed partnerships and alliances with. This is why the 1970-78 Dodge Colt was the US version of the Mitsubishi Galant passenger sedan. This car debuted in Japan in 1969 and was one of the driving forces behind the formation of the Mitsubishi Motors Co. The Mirage was introduced in Japan in 1978. This car had been designed with fuel economy in mind. From 1979 to 1994, the Colt was a US version of the newer and more frugal design. The Forte is a Mitsubishi pickup truck in Japan. In America, it was available as the Dodge Ram 50 and Plymouth arrow Truck starting in 1979. It was until 1982 that Mitsubishi made cars that were available in the US market under its own name. Then, that truck was available to Americans as the Mitsubishi Mighty Max. This same year, the Cordia hatchback and the Tredia sedan debuted as well. Both front-wheel drive passenger sedans, related to the Mitsubishi Mirage. This design however, did not arrive in America under its manufacturer’s name in 1990. The Tredia and the Cordia weren’t successful in America, but Mitisubishi’s other 1982 debut car, the Starion, made a bigger and more lasting impact. However, it was known to be a Dodge/Plymouth/Chrysler conquest. The Starion was turbocharged, rear-wheel and marked the start of Mitsubishi’s strong connection with performance-minded consumers. The production ended in 1990 but some of its performance features lived on in the Lancer Evolution, Eclipse and Galant VR-4. Also in 1982, Mitsubishi launched its mass-market Sports Utility Vehicle efforts. The Pajero as it was known outside the US, (Montero) came in short and long wheel based versions. It had standard part-time four-wheel drive and an optional turbocharged diesel engine. In 1983 the Montero entered the Dakar rally and had a first win in 1985. Eventually became the most successful vehicle in that rally. From 1984 to 1990, the Sigma was available in the US. When it began using its Japanese name became the Galant. This is still available but now it is being produced in the US where it has been a successful passenger sedan. When the Galant’s VR-4 engine was migrated to the Lancer Evolution this became a less racing oriented car in 1992. In 1988 Mitsubishi stepped up its presence in the US market when completed a manufacturing plant in Normal, Illinois in partnership with Chrysler. 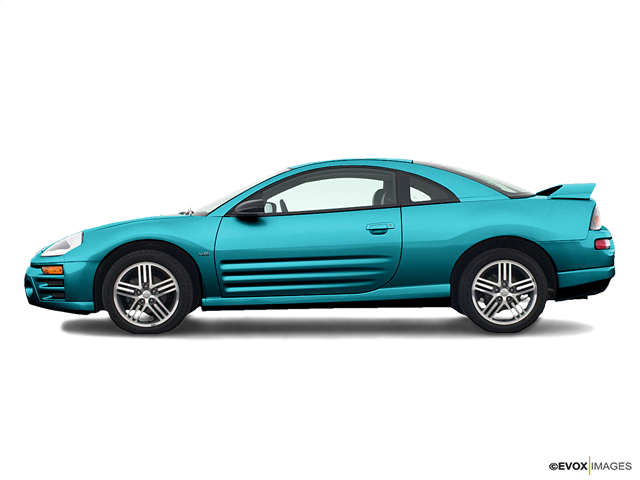 The Eclipse in 1989 is an entry-level sports coupe and has always been available in a variety of trims. Some of them are a turbocharged engine and all-wheel drive. It has become a prominent player after the fast and furious and has received a lot of press.